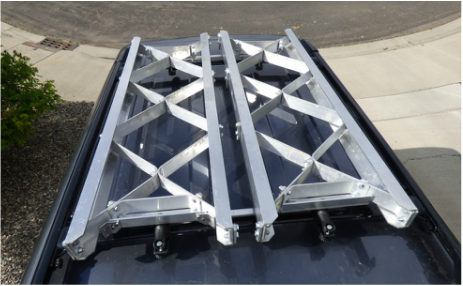 Our roof mounting kit allows a pair of bridging ladders to be mounted to your vehicles stock or aftermarket cross bars or to a roof rack. 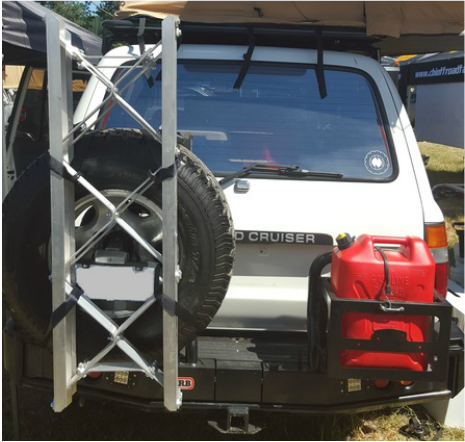 The spare tire mount allows a pair of bridging ladders to be mounted vertically or horizontally on a rear spare tire. One strap with two hooks is used to support the ladders from the top of the spare tire, while two ratchet straps cross behind the spare tire in order to pull the bridging ladders tight to the spare tire. If your bridging ladders have the optional grip cleats the bridging ladders can be stacked slightly offset with the cleats facing each other. This receiver mounted carrier is a convenient way to take your bridging ladders with you and expand your storage space at the same time. Don't be limited to carrying your bridging ladders on just one vehicle since the carrier is compatible with any standard 2" hitch receiver. A folding version will also be available soon. 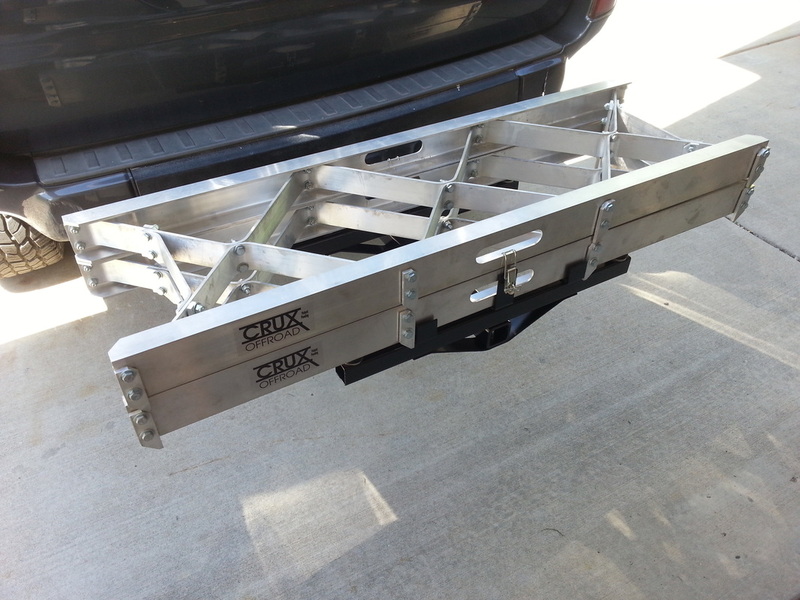 An option to mount the bridging ladders to your existing roof rack will be available soon.